Willie Nelson started playing music while growing up in Abbott, Texas. His grandparents raised both him and his sister Bobbie and encouraged both children to play instruments. Willie started playing guitar and Bobbie played piano. Upon meeting Bud Fletcher (who Bobbie later wed) they were invited to join Fletcher’s band and Willie became the frontman. Once he graduated he joined the Air Force but left shortly afterward because of back problems. Nelson went on to work several part-time jobs, including a job as a country DJ at Fort Worth's KCNC in 1954. He also sang in honky tonks while working as a DJ, and in turn decided to start recording his own music in 1956. That same year he headed to Vancouver, Washington, and recorded Leon Payne's "Lumberjack." Payne himself was also a DJ and plugged "Lumberjack" on the air, and gained some traction for the single. Over the next few years, Willie continued to DJ and sing in clubs. Also during this time he sold "Family Bible" to a guitar instructor and the song became a hit for Claude Gray in 1960. In turn, Nelson moved to Nashville the following year to try his luck. While he faced some rejection, his songwriting ability stood out and Hank Cochran helped Willie land a publishing contract at Pamper Music. Pamper Music co-owner Ray Price recorded Nelson's "Night Life" and invited him to join his touring band, the Cherokee Cowboys, as a bassist. One could say 1961 launched Nelson’s career as an artist. He eventually took members of the Cherokee Cowboys to form his own touring band but he still wrote songs for other artists. For example, Faron Young’s "Hello Walls" went to number one for nine weeks and Patsy Cline’s "Crazy" was a Top Ten pop crossover hit. Earlier in the year he also signed a contract with Liberty Records and released a series of singles. "Willingly" was a duet with his then-wife Shirley Collie and it became a Top Ten hit for Nelson early in 1962. It was followed by another Top Ten single, "Touch Me," later that year. Nelson eventually moved on from Monument Records to RCA Records in 1965, and that same year he became a member of the Grand Ole Opry. Over the next seven years, Willie had a steady stream of minor hits including the single "Bring Me Sunshine" in 1969. After some hits and label challenges, Nelson retired from country music in 1972 and moved back to Austin, Texas to become a pig farmer. In Austin Nelson realized people were listening to country music along with the traditional honky tonk audience. 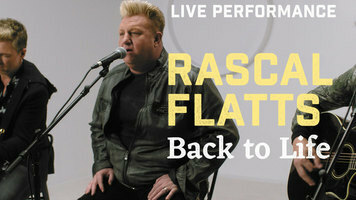 Nelson then decided to retool his music and career by performing rock and folk influenced music. He then signed on with Atlantic Records. Nelson's first album for Atlantic was Shotgun Willie in 1973 and demonstrated his musical shift. It earned good reviews and helped Nelson develop a dedicated following. By the fall of 1973, he covered Bob Wills' "Stay All Night (Stay a Little Longer)" which hit country Top 40. The following year, he created a concept album titled Phases and Stages with hit singles like "Bloody Mary Morning" and "After the Fire Is Gone." In 1975 Nelson left Atlantic and signed to Columbia Records, where he earned complete creative control of his records. His first Columbia album, The Red Headed Stranger, was a sparse concept album. The risk earned rewards as it became a hit. As Waylon Jennings also became a success, Nelson’s genre bending “outlaw country” gained steam. An RCA outlaw country compilation called Wanted: The Outlaws!, used tracks Nelson, Jennings, Tompall Glaser and Jessi Colter had previously recorded for the label. The compilation had a newly recorded Jennings and Nelson duet "Good Hearted Woman," and earned a Country Music Association award for single of the year. Over the next five years, Nelson charted on both the country and pop charts, with "Remember Me," "If You've Got the Money I've Got the Time," and "Uncloudy Day" becoming Top Ten country singles in 1976; "I Love You a Thousand Ways" and the Mary Kay Place duet "Something to Brag About" were Top Ten country singles the following year. Nelson had a hugely successful year in 1978 as he charted with two albums. Waylon and Willie was his first duet album with Jennings and had the signature song "Mammas Don't Let Your Babies Grow Up to Be Cowboys." On the other end, he released Stardust, a collection of pop standards produced by Booker T. Jones. 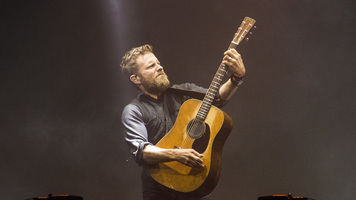 The album ended up becoming one of his most successful and spent almost ten years in the country charts and went on to sell over four million copies. Nelson then started appearing in film such as the Robert Redford film The Electric Horseman in 1979. He also starred in Honeysuckle Rose in 1980 accompanied by his hit "On the Road Again," one of Nelson’s signature songs. Willie continued to have hits throughout the early '80s, especially in 1982 with a cover of Elvis Presley's hit single "Always on My Mind." The track spent two weeks at number one and hit number five on the pop charts. His album, also titled Always On My Mind, went to number two on the pop charts and hit quadruple-platinum status. 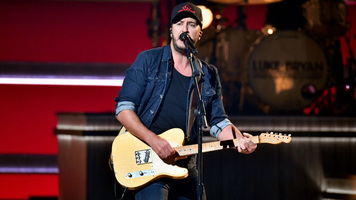 Over the next two years, he had hit duet albums with Merle Haggard (1983's Poncho & Lefty) and Jennings (1982's WWII and 1983's Take It to the Limit). He also had a crossover duet hit with Julio Iglesias, "To All the Girls I've Loved Before," in 1984 which peaked at number five on the pop charts and number one on the country singles chart. In 1985 Nelson also had a string of number one singles including “Highwayman,” which was the first single from the Highwaymen: a super group he formed with Jennings, Johnny Cash, and Kris Kristofferson. Throughout the rest of the decade Nelson toured frequently and did charity work, namely Farm Aid: an ongoing annual concert that he founded in 1985 designed to provide aid to ailing farmers. After some tax legal trouble in 1990, Nelson The IRS Tapes: Who'll Buy My Memories? All album profits were directed to the IRS to pay back taxes. In 1993 his debts had been paid off and he released the album Across the Borderline, produced by Don Was and featured Bob Dylan, Bonnie Raitt, Paul Simon, Sinéad O'Connor, David Crosby and Kris Kristofferson. With strong reviews he was back on the pop charts for the first time since 1985. In 1993 Nelson was inducted into the Country Music Hall of Fame. He signed to Island for 1996's Spirit, and in 1998 he released the critically-acclaimed Teatro. Nelson then released the instrumental-oriented Night and Day a year later followed by Me and the Drummer and Milk Cow Blues followed in 2000. In 2001 he released The Rainbow Connection which featured old-time country favorites. Throughout the 2000s, Nelson kept releasing albums like The Great Divide (Universal, 2002) and Crazy: The Demo Sessions (Sugar Hill, 2003) Also in 2003 Nelson released Run That by Me One More Time, which brought him together with Ray Price and kicked off a relationship with Lost Highway Records. On Lost Highway Records Nelson also released It Always Will Be (2004) and Outlaws and Angels (2004) and his country-reggae fusion Countryman in 2005. 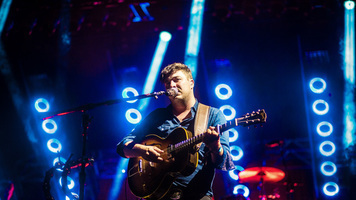 Nelson also collaborated with Ryan Adams and his band the Cardinals for the album Songbird. He also released a double-disc Last of the Breed, a project with Merle Haggard, Ray Price and Asleep at the Wheel. Then in 2008 he released Moment of Forever produced Kenny Chesney and Buddy Cannon. In 2008 Nelson also paired with jazz trumpeter Wynton Marsalis for the live album Two Men with the Blues and with harmonica player and producer Mickey Raphael for repair remixes of Nelson releases from RCA originally recorded between 1966 and 1970 called Naked Willie. In 2009 he released Lost Highway, an album of duets with country and pop stars like Shania Twain to Elvis Costello. Also appearing in 2009 was the jazz-inflected American Classic from Blue Note Records. Nelson reunited with Marsalis for 2011’s Here We Go Again: Celebrating the Genius of Ray Charles, which was recorded live on February 9 and 10, 2009 at the Rose Theater with Norah Jones also on board. A CD from the shows appeared on Blue Note in the spring of 2011. In the fall, Willie released a covers collection called Remember Me, Vol. 1. Nelson then signed with Sony Legacy and released Heroes in the summer of 2012. That spring he released a collection of standards called Let's Face the Music and Dance and that fall he released To All the Girls..., a collection of new duets with female singers. Albeit turning 80 in 2013, Nelson kept a rigorous touring schedule and worked on songwriting while traveling. Band of Brothers, issued in June of 2014, featured nine originals (co-written with producer Buddy Cannon) among its 14 new songs. Six months later, he launched a series of albums (given the collective name Willie's Stash) with December Day, a collaboration with his sister Bobbie Nelson. They performed old standard and lesser-known tunes from Willie’s catalogue. Then in 2015, Willie teamed up with Merle Haggard gain for Django and Jimmie, their first collaboration in 20 years. Launched with the single "It's All Going to Pot," the album debuted at number one on the Billboard country chart. 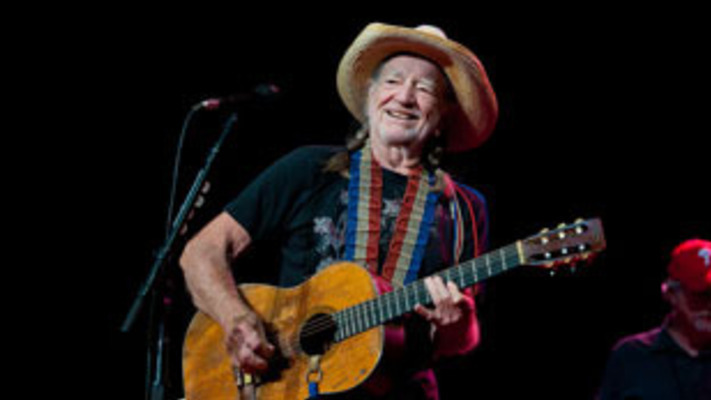 Then in 2016, Nelson released Summertime: Willie Nelson Sings Gershwin, and later that year he released For the Good Times: A Tribute to Ray Price. Willie Nelson released an original studio album in April 2017 with God's Problem Child, which was co-produced by Buddy Cannon. Later that October, Nelson released the second volume in the Willie's Stash series: Willie Nelson and the Boys, a collection of classic country covers recorded with his sons Lukas and Micah. That same month, Light in the Attic issued two catalogue projects by Nelson. Teatro – The Complete Sessions included seven previously unreleased tracks and a DVD of director Wim Wenders' documentary of album’s live sessions. The latter volume was a Record Store Day reissue of Spirit on gold vinyl. On April 27, 2018 Nelson released his critically acclaimed sixty-seventh studio album Last Man Standing.